Marie Discini burst onto the Class AA/A high school tennis scene last season with a command and conquer attitude. No opponent was afraid of her which meant she had to bring her A game each and every match. 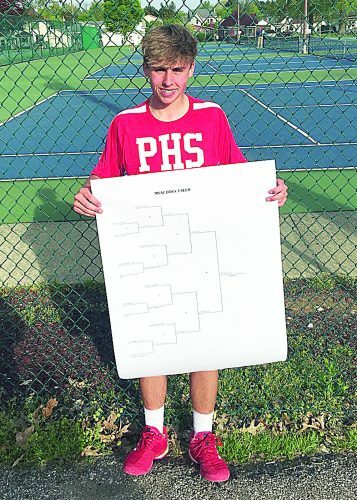 Advantage for her … The Parkersburg Catholic netter brought her years of United State Tennis Association experience and an all-around strong game to the court. The freshman’s philosophy and talents led her on a blitzkrieg through an undefeated regular season, to a regional championship, and then to a No. 1 singles’ state title after an impressive 6-1, 6-2 defeat of Huntington St. Joe’s Audrey Heaberlin, a talented player in her own right, in the finals. 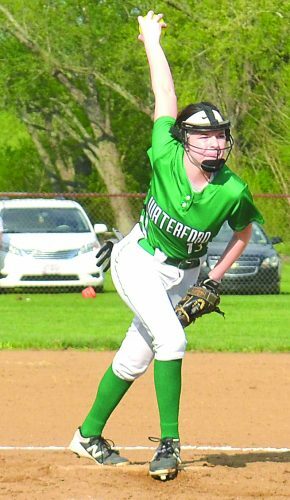 (Admittedly, watching how her game stacked up to Huntington’s Ada Radcliffe of Spring Valley’s Katie Swann at the Class AAA level last season would have been a treat. The two met for the No. 1 singles’ title each of the past two years). 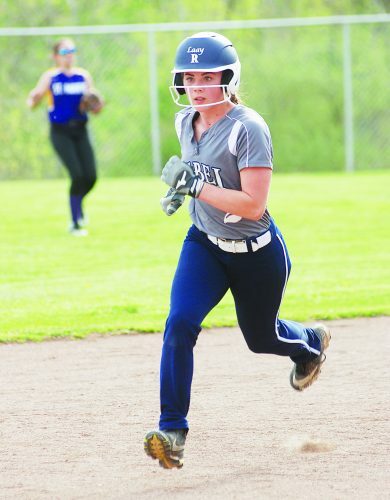 All-State honors followed after she was one of the remaining four No. 1 singles’ players on the final day of championship action in Charleston. Her big serve, powerful forehand, and maniacal work ethic, coupled with a dominant first impression established her as the ultimate test for any potential usurpers to her singles’ throne the next three years. Discini has continued to build off last season. A 2018 regular-season resume where she has dropped just two games cemented her status as everyone’s roadblock to the title. There will be no let down from the exploits of her first year on the court. This fact became apparent in the Crusaders’ first match of the season against one of the best Class AAA teams in the state in PHS. Discini needed just nine games to take down the Big Reds’ No. 1 Bairavi Sundaram 8-1. Sundaram has played in the state tournament the last two seasons. “I have been training with (PHS tennis player) Zarion Jones and some of my friends in Athens,” said Discini on how she’s kept her edge through the regular season. “I also kept the mindset my opponents aren’t going to put me on a pedestal – They aren’t afraid of me. They are going to try even harder this year. Matches aren’t the only time Discini stays in her competitive mode. The sophomore says she always puts herself behind in all exercises during practice with her teammates. She always expects the worst and that she can lose if she takes any time off. An even scarier thought for her opponents than her entire focus being poured into every match and practice? 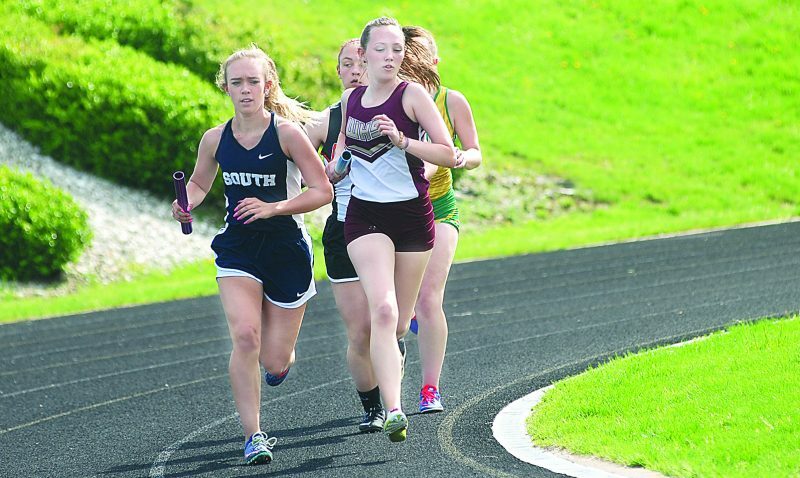 She is getting better according to Parkersburg Catholic head coach and father Jason Discini. Jason didn’t see those improvements develop earlier on, but his daughter’s work ethic once again shone through in the non-competitive, non-team situations. Those improvements certainly won’t hurt with regionals just around the corner. Discini faces her toughest tests on the road back to Charleston. She could get a taste of her two main state challengers if matched up with Winfield’s Emily Moore or Heaberlin during the Region IV tournament next week.